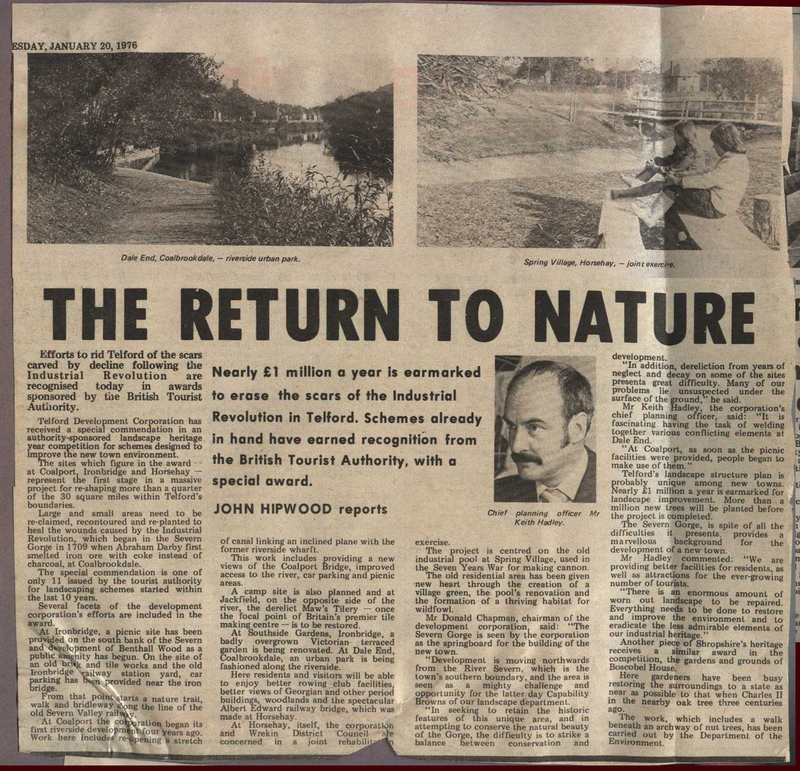 This newspaper cutting from 1976, explains the early work to reclaim the industrial wasteland around Telford including the start of the development of Dale End Park at Coalbrookdale. Photos include Children Sitting on a Bench at Spring Village, Dale End Park Under Construction and a Portrait of Keith Hadley, Chief Planning Officer. 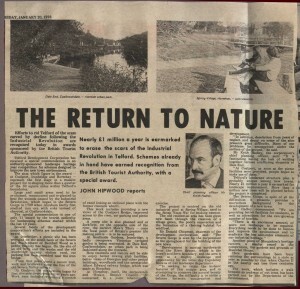 The scan is a clipping of a local resident, who kept a scrap book at the time. Thanks to Michelle Jones for this. One interesting comment was about Spring Village. The pool was used for making cannons in the Seven Years War. Anyone have more details on this?